The best products are those that can disrupt the industry, just as how the best businesses are those that can change the way the world goes. And this is one of them. 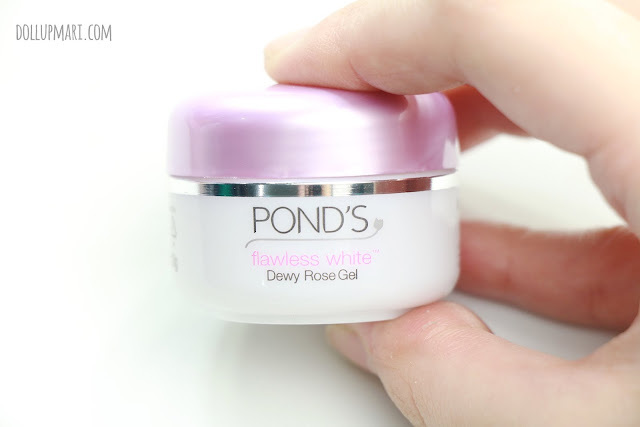 I must admit how smitten I am by Pond's Dewy Rose Gel because it's one of the things that they made that really caters to the needs of Pinays. First is the need for very fragrant products. For some reason, every single thing that a Pinoy uses must smell good, be it baby powder, soap, lotion, or whatnot. More so on the haircare products. This is why this "rose" smelling joy is a blessing for many. Second is the need for products that are lightweight and not distracting to the feel once you've gone through half the day. 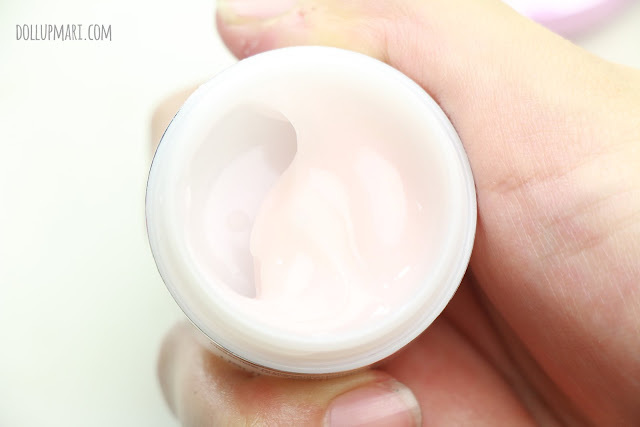 No one wants their cream, nor their makeup, to be melting in the middle of the day. The gel format is another blessing to the inhabitants of this country. I wanted to try the product out first before buying the full sized version which is why I got this trial pack (and no this is not a free sample there really is a trial size in stores). 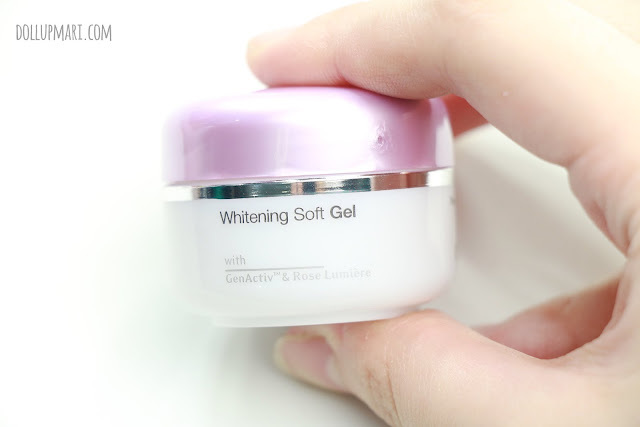 This boasts its Rose Lumieère complex for intense hydrating and whitening GenActiv technology for whitening and lightening. For the benefit of everyone, here are the ingredients. I like the fact that the fragrance is somewhere in the middle and not in the end because I really appreciated how long lasting the fragrance of the product is. 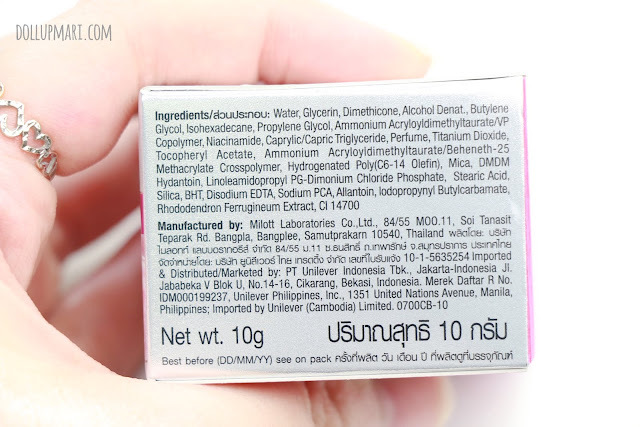 The preservative is DMDM Hydantoin. I know it's controversial as it's a formaldehyde releaser and I have seen Yahoo! answers questions of people going ballistic that formaldehyde should not go near the body in any manner at all. But well, relax. It's a formaldehyde releaser, it's not formaldehyde itself. Second, look back at the function of formaldehyde-- it's used to prevent decay through curbing the reproduction of unwanted microorganisms. I'd rather have a product with a little formaldehyde (and by little I mean by the standards of this cream I'd probably have to use 1000000 tubs of this gel in one sitting before it actually even does any harm), rather than suffer from a difficult to treat infection because of not having any chemicals kill off the bad bacteria that may get into the product in the span of use. But, if you are allergic to formaldehyde, please do not use this product to avoid any complications. The product comes with a safety sticker on top of it. Please be wary of the safety sticker when buying, just in case. This is the tub itself. It's tiny. Very tiny. It's as big as a ping pong ball, or even a bit smaller actually hahahaha. The moment you unscrew the lid, there's another protective cover. Since this is gel format, it dries faster than cream format and may dry up within the tub if not covered properly. 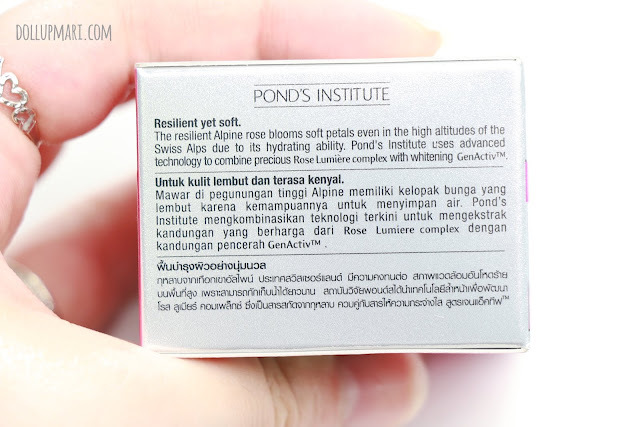 This is how the lid and the product look like. 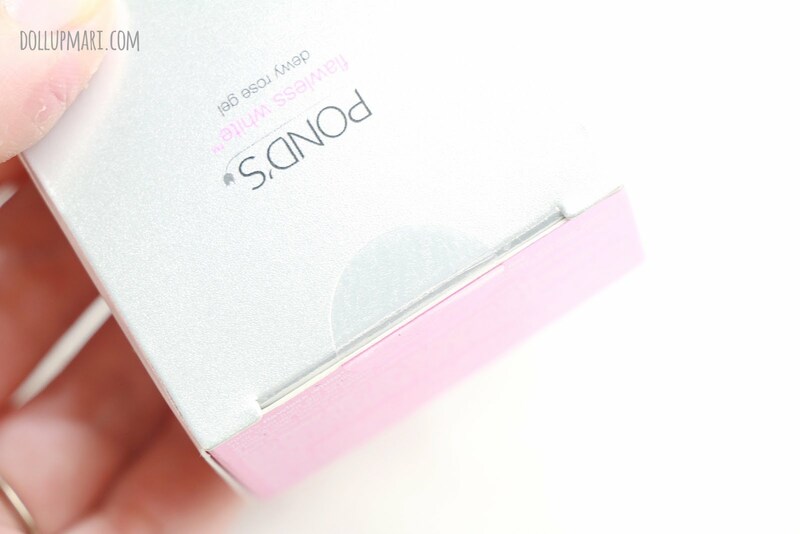 The amusing part is that the gel is a translucent pink color with hologram effect. My apologies that it does not appear in the photos, but it's got a pearly color, actually. It's got a consistency that it stands up on its own, and it's not runny, but you can feel that this is not as heavy as the usual cream. 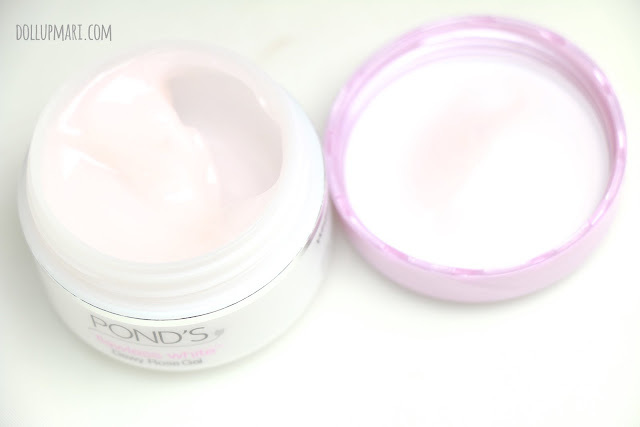 When you apply it onto the skin it actually feels borderline water because it spreads really fast, and a little amount spreads a lot. You can save a lot of money with this product because its spread is so wide that even this trial tube can last someone a month. It disappears quickly, too. The best feature this product has, if you ask me, is how it absorbs so quickly that in the Philippine heat it wouldn't melt off your skin before your skin could even absorb the nutrients. This may mean applying more product at times because despite its spread, the absorbency of the skin of this product happens so quickly that if you don't smear it on fast enough, the next thing you know your skin has already absorbed everything. 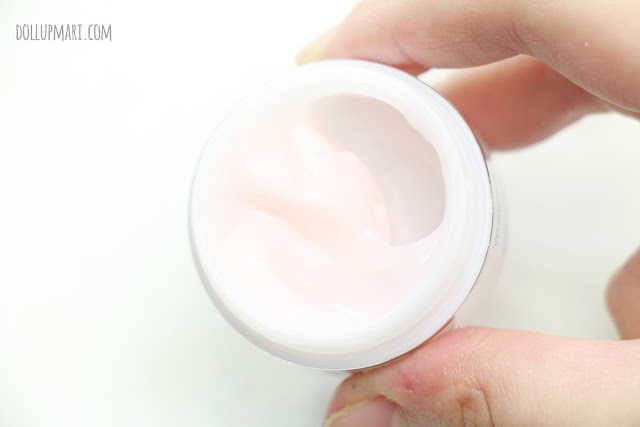 I appreciated this feature a lot because it's always a struggle to apply products on the face during daytime as the hot climate makes any cream drip off the face. I usually have to apply products at night just so that I could really absorb the ingredients. But with this gel, I can apply it at any time of the day I wish to do so. The other thing I love is the fragrance! It smells really nice and perky and will cheer up any mood. But funnily, while this is supposedly rose scent, it actually smells a lot like how aromatherapy stores render green tea. It's a gentle scent and will surely not offend the nose, but the fragrance is lasting enough that even moments after applying the gel you'd still be able to sniff whiffs of the fragrance. Plus, I love how gentle it is. There are products that I cannot use when I have pimples and breakouts, but this product is gentle and light enough that even in my times of breakouts, I can afford to use this without exacerbating the situation. It gives me the moisture I need without making my skin too oily that my pimples and up worsening. My skin is very, very oily, so any product that doesn't oil up a lot on my skin is already considered very good. Nonetheless, for an industry-disrupting format that this product has, it's already very affordable at Php149 for this 10g tub, and Php399 for a 50g tub. I do recommend getting the bigger tub, though, because it packs more value for money. 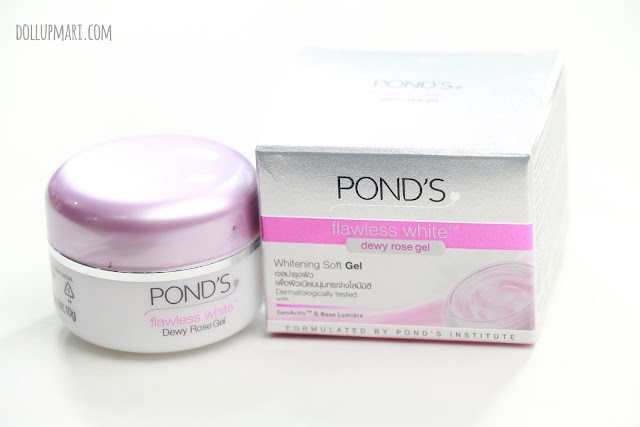 You can get this from personal care stores nationwide and through Pond's Official Lazada Store.